On Friday night, I like to unwind after a long week with a glass of wine. While I have a few favorites, periodically I like to try different vineyards, blends or varietals. 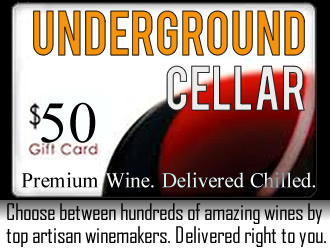 Even though I am open to experiment, I don't want to over spend on the unknown. 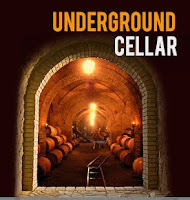 Underground Cellar is a great way to explore wines. The Giveaway will open up on 8/27 12:01 am EST and Close on 8/31 at 11:59 pm EST. Would love to win this. Great giveaway! 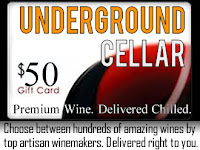 What a great giveaway - I know I'd love some wine delivered to my door!